Home / baseball hitting drills / Hitting Drills / Derek Jeter Bat-Speed Hitting Drills Revealed! 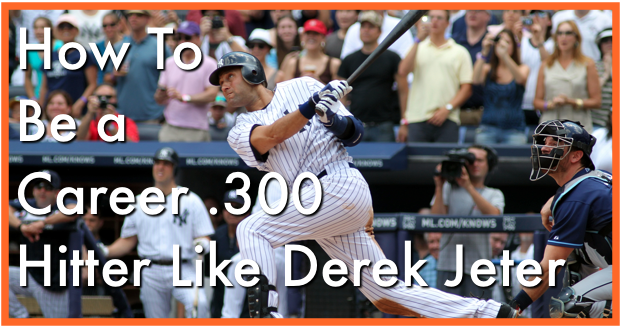 Derek Jeter Bat-Speed Hitting Drills Revealed! Derek Jeter is HANDS DOWN one of my favorite hitters of ALLLLLLLL TIIIME. Because he is the ultimate example of a ballplayer who knows what his biggest strength is as an offensive force and has mastered that strength to the point of “almost” perfection. Yes it’s pretty much impossible to be perfect in this game but to me, the faith he has displayed in his ability has been apparent in his consistent approach throughout his entire career. He’s never really deviated from that approach. To me, that says a lot when you have other players who seem to be changing their swing and approach almost every other week. You can learn a lot from Derek Jeter if consistency and resiliency is an ingredient you’d like to add to your swing recipe. Let me know who’s swing you’d like to see in the next AoB swing analysis series and I’ll be sure to add it to the schedule! Is there a player’s bat-speed you’d like analyzed? What about their swing plane? Let me know if the comment section down below! P.S. If you’re ready to take your game to the next level take the Hitting Machine Academy for a test drive. Master the advance Bat-Speed Blue Print.